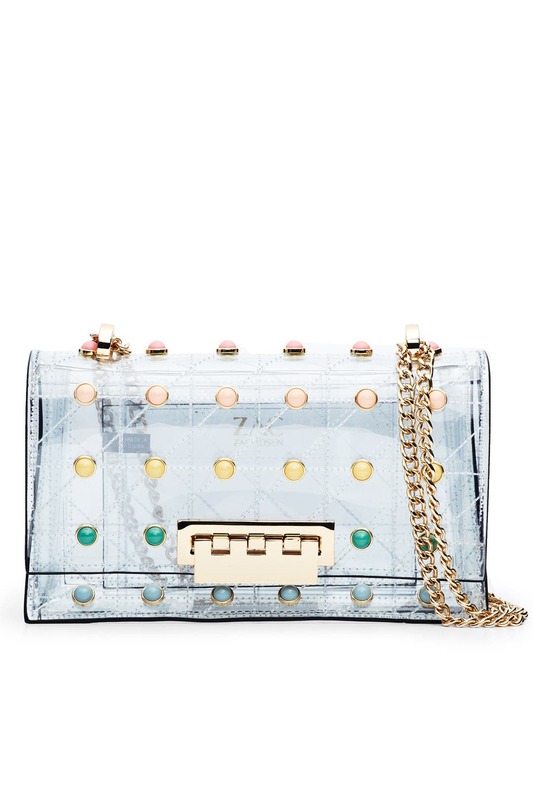 Trend-right in a transparent design and rainbow-colored studs, it's clear to see why you need this ZAC Zac Posen bag. 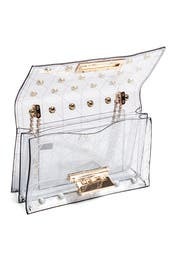 Also available in Rose Swarovski and Floral. 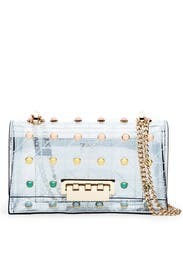 Clear shoulder bag with fold-over clasp closure and rainbow accents. Gusseted, 2-compartment interior with one pocket. Top handles and optional shoulder strap with a 19.75" drop. 6"H x 8.75"W x 3.5"D.